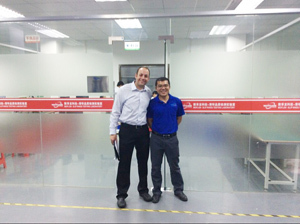 On June 20th, 2015, Maret, a technical director from US MOT Company visited our company. He flew for 15 hours, but he was very satisfied with MOFLON products and MOFLON all staff. He said that we are the best. Certainly, we will always do our utmost to satisfy our customer.